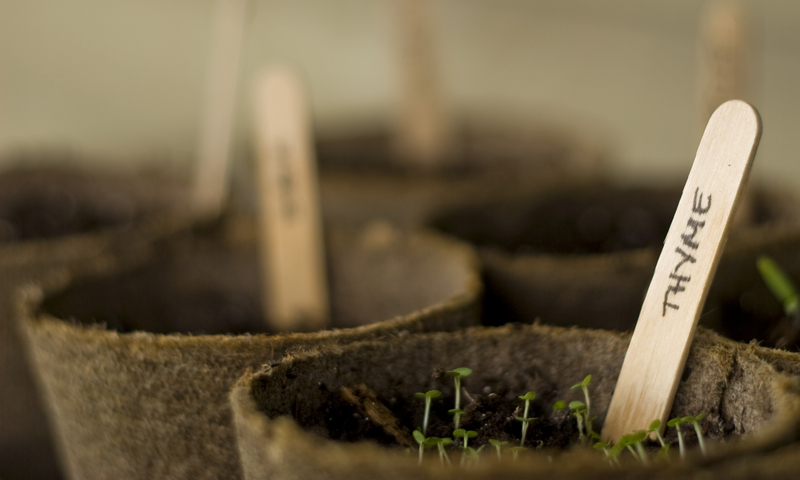 Despite a warmer than average winter, I’ve been going over my gardening plans for the coming seasons as I focus on my indoor garden. It’s rare for me to talk about what I do and my upcoming gardening plans. I currently live in an urban apartment where gardening space is limited, but have learned to maximize the small space available with container gardening. I base most of what I do with my garden off of gut instinct and luck in combination with the knowledge I’ve picked up through trial and error over the years. Living in an apartment, my access to soil and compost is incredibly limited. In the past I’ve relied on a popular brand of potting soil with varying results. My goal this past year was to find a more rich soil mixture that required less maintenance. I ended up using a mixture of potting soil, a high quality compost, sand, and soil conditioner mixed in accordance to the needs of individual plants. Mixing my own soil turned out to be the best thing I could have done for my little container garden—it retained moisture without becoming waterlogged. To cut down on cost, I looked for ripped, discounted bags at garden centers. The potting soil I used was leftover from the prior year and I would recommend cutting it out completely if possible. 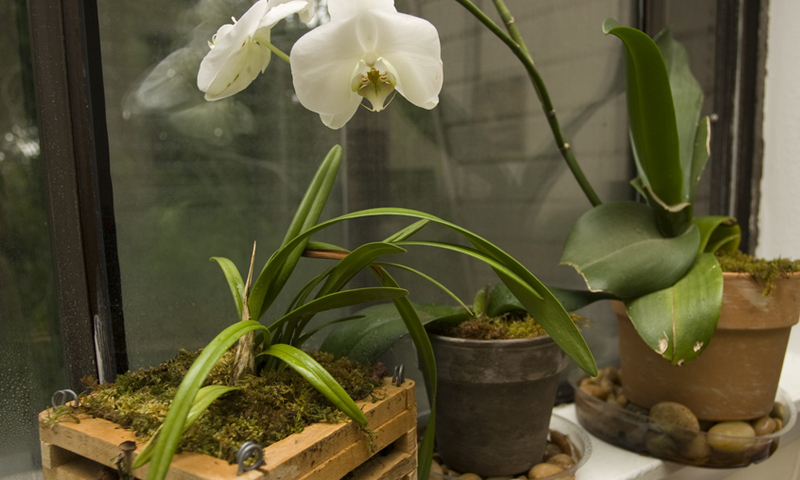 During the winter, mold can be a major problem with indoor plants. My apartment has poor air circulation that created a severe mold problem with the sphagnum moss potting medium used for my orchids. The mold caused root rot, so the decision was made to replant them in bark which has completely abolished the mold problem. While still healing from the mold attack a year later, all have stabilized and look to be healthy. 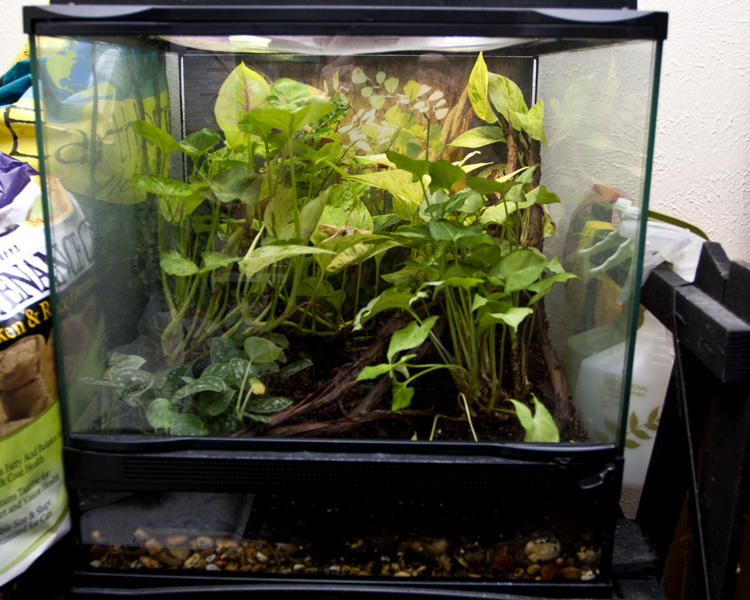 After longing for a terrarium, I finally created a large and nearly self-maintaining eco-system plus an additional lizard. 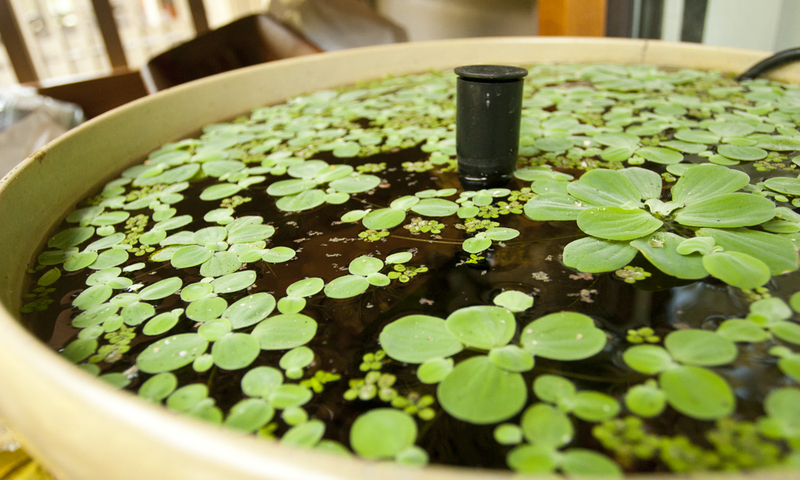 A layer of rocks under the soil help create a self-watering system that the plants thrive on. Beneficial springtails help to tidy the enclosure and decompose waste. Can’t wait to add some live moss! Currently, our mild winter has made wintering over the many herbs and plants incredibly simple. The hardier plants are unmoved since summer while the more tender are housed in a small pop-up greenhouse for protection from the winter nip. This past year, I grew both lemongrass and tomatoes; however, both plants grow fairly large and take up a lot of space. Since they shaded out many of my other plants, I have decided I will not grow them this coming year in order to make room for new plants. 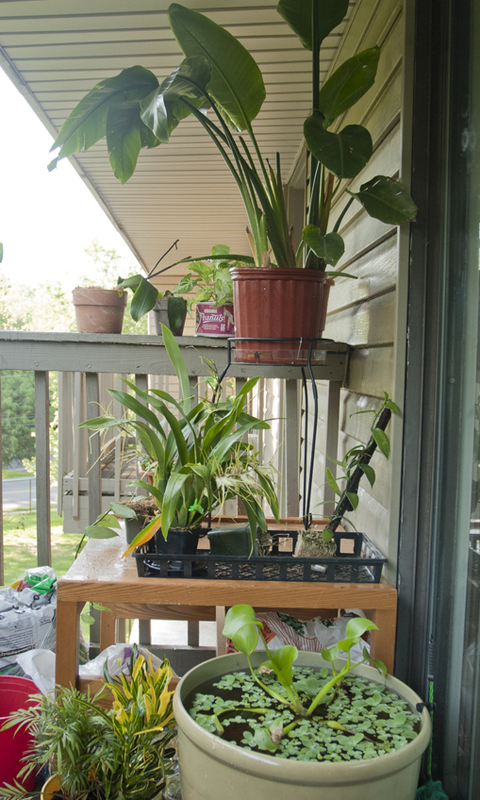 I grow many tropicals that rotate between inside and outside depending on the weather. Both last winter and this current winter, I have found molding soil due to my apartment’s poor air circulation. Currently I have been treating with cinnamon to keep the mold at bay, but would like to find a better solution in the future. After busting the pot on my large White Bird of Paradise, I attempted to repot it on my own despite suspicions it would be a two person job. I was unprepared for the thick, stiff roots that grew straight down and the three plants separated as I loosened the old soil. In the end, I ended up with leaning plants that were growing into one another. My cats have done a good job of eating the foliage and even killing a few. I have resorted to placing them in odd places so the plants will have time to begin their recovery. The warmer than average winter is wreaking havoc on my gardening plans as I’ve been cautious of planting seeds with worries they’ll sprout too early. However, I have picked up some new seeds to try of which includes fenugreek, cattails for my pond and cat grass in hopes of distracting the cats from my tropicals. When I created a soil mixture last spring, I tried to plan ahead in anticipation of this growing season as I wanted the repotting to be minimal. I added plenty of soil conditioner to each pot in hopes that it would decompose throughout the year, leaving another year of rich soil for each plant to continue growing in. I am eager to see how well (hopefully) this has worked out. 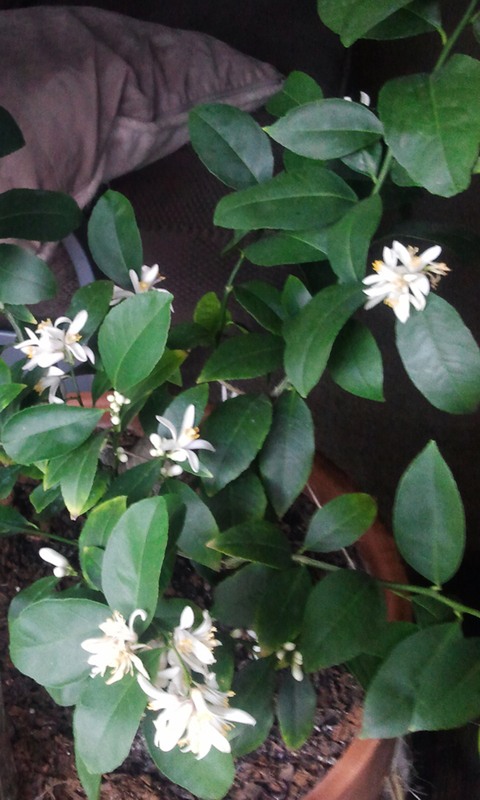 I will endure the continual wait for the first lemons to ripen on my Meyer Lemon tree. I’m also hoping to see the growth even out a little more this year. 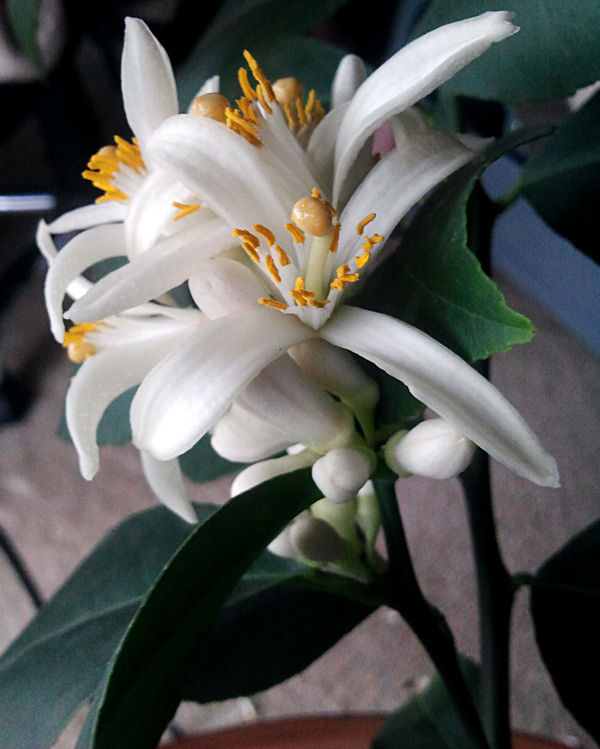 The tree is currently in full bloom with a scent that fills the entire room; however, I won’t be leaving many lemons to grow as it’s still a young tree. After a fairly successful year, this coming year looks to be a promising experience with plenty of room to grow and expand my gardening knowledge. So, how did your garden grow this past year? Got any interesting plans for the 2013 season?